E-commerce Fulfilment Services - Would They Suit You? You may have heard about outsourced e-commerce fulfilment services, but you may not fully understand what it is and whether it’s of any benefit to you and your business. But don’t worry, take a look below where we have answered some of the most frequently asked questions about outsourced fulfilment, so you can decide whether it’s right for you and when and why you should consider utilising it. So that orders can be processed as swiftly and efficiently as possible, your ecommerce platform (such as eBay, Shopify, Amazon) is integrated with the fulfilment centre’s software. This means that any orders are automatically passed on to the fulfilment centre. Our end to end solution provides data to our cloud based Ecommerce platform offering 24/7 access to your order and inventory information. Orders are picked by the fulfilment centre staff and packaged appropriately in preparation for dispatch. Returns are handled by the fulfilment centre as per your instructions. Unwanted items can be put back into storage, damaged items can be returned to you, for example. Are E-commerce Fulfilment Services right for you? 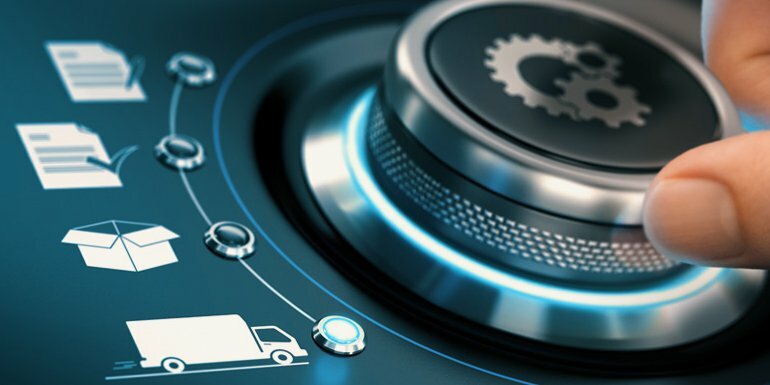 The benefits of utilising a third party logistics company are vast and varied, however when you are first starting out on your e-commerce journey, it may not be financially viable for you. However, if you are taking volumes of orders online, running out of storage space or finding it difficult to handle returned orders efficiently, it may be time for you to consider outsourcing. If you are taking a lot of time picking and packaging your products for dispatch, why not reclaim that lost time by letting a fulfilment centre handle all of your picking and packing. Not only will the physical act of packaging be taken off your hands, so will the lost time waiting in Post Office queues and handling any customer complaints. Your time will be far better spent growing your business and developing new products!We don’t just do e-fulfillment. Pointbid provide a wide array of services that give you the confidence to grow your brand. Whether B2C or B2B we will have something to offer. If you are looking for customised packaging and labelling – Whether your goods need re-labelling or completely re-packaging, we conform to your requirements thus ensuring your products meet the needs of its intended market, first time. A professional fulfilment centre will also have access to preferred rates with various courier services, meaning that you will in turn have access to a wide variety of affordable international shipping options. Wherever your order is going, if it gets to us before your agreed cut off time, it will leave the same day. We guarantee a Great Customer Experience, through same day despatch, late cut off and extremely accurate pick and pack operation, meaning your customers will reap the benefits of a fast and efficient service. Whatever the size of your business, there are no management fees, no integration fees and cost efficient distribution solutions ensuring a value for money service. Get in touch with us today and start growing your online business even further. https://www.pointbidlogistics.com/wp-content/uploads/2018/08/fulfilment.jpg 385 770 Pointbid https://www.pointbidlogistics.com/wp-content/uploads/2017/11/pb-colour.png Pointbid2018-08-20 15:53:472019-02-12 16:58:23E-commerce Fulfilment Services - Are They Right For You?